I wanted to let you know about another product that I love, enjoy using every day, which I carry in my handbag and will definitely be coming with me on my holidays, the award-winning Omorovicza Budapest Queen of Hungary Mist – a face toner, calming face mist in one. In 2006, Omorovicza Cosmetics was officially launched with a store opening in Budapest and they have been producing skin care (a number of which are award-winning) ever since. Today the Omorovicza skincare range contains almost fifty products comprising four collections, you can learn more about the range via the link here. The Omorovicza Budapest Queen of Hungary Mist is currently available in three sizes; 100ml RRP £48, a 50ml Limited Edition RRP £25 & a 30ml travel size RRP £15 (I love the 30ml size for travelling / my handbag) and comes in a sleek, elegant matt glass bottle with silver tone detail. Suitable for all skin types, the mist contains among the ingredients; rose & sage waters, neroli, apple pectin and orange blossom. All the combined fragrances work v well as I find none are overpowering which I prefer. I find the fragrance subtle but still so invigorating. States is a ‘refreshing, toning facial mist for instant skin hydration’ and although I agree totally with these claims I find it so much more. 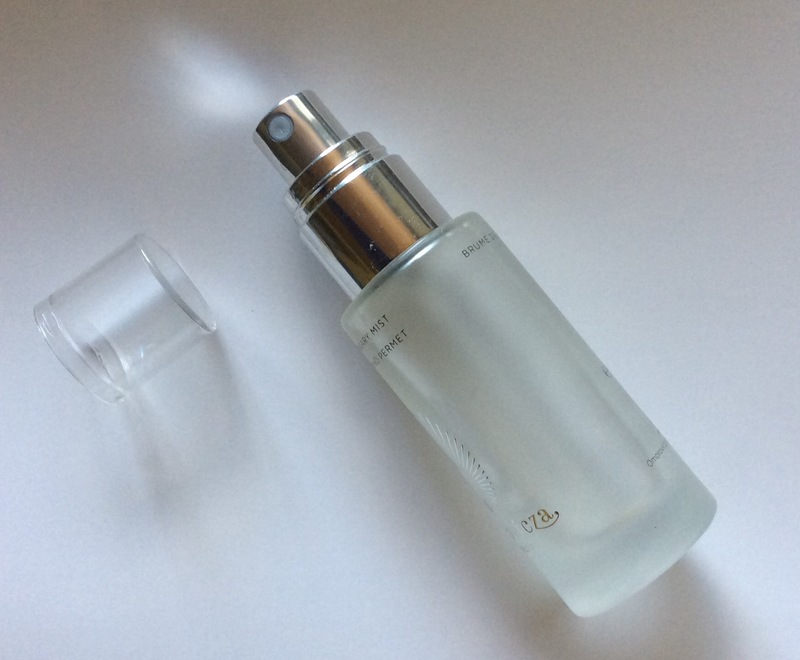 First love the fine/light mist, delivers the perfect amount of product each time, does not ‘drench’ your skin’ as some mists can. I apply at a distance after cleansing both morning and evening to tone my skin and then I apply again once I have applied my skincare, makeup, to help set my makeup as it gives a beautiful healthy glow to my skin not too dewy (although if you prefer a heavier setting spray you may still wish to use your own setting spray). I then reapply it few times during the day / evening as and when I feel my skin needs refreshed or more often if it is a particular warm day to help calm my skin when it is hot. I find it really helps keep my skin hydrated, reduces any redness if it is a particular warm day and also helps refresh my makeup as well. I find the 30ml size lasts really well and although more expensive than some facial mists. setting sprays, I believe it is totally worth it. 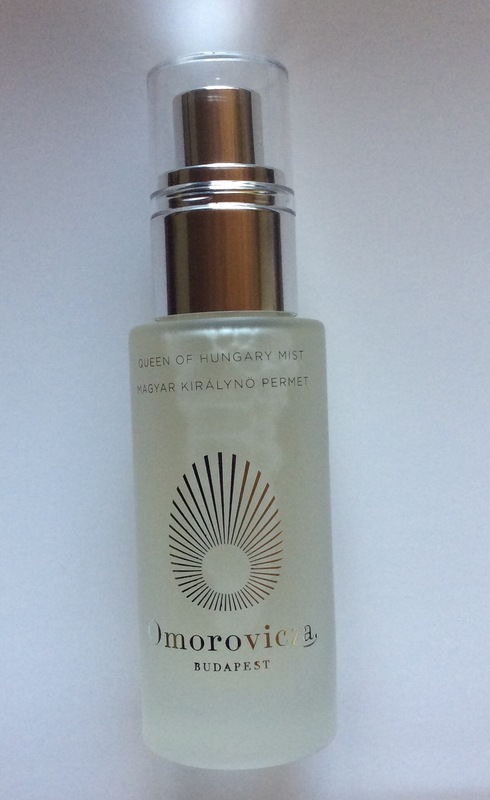 I have used a number of other facial mists / setting sprays and personally I find the Omorovicza Budapest Queen of Hungary Mist spray is the best multi task product as it can be used as a toner, setting spray, refreshing mist and boost for your skin (yourself). I also feel it is helping my skin as well which I love. I now cannot be without this product and would recommend checking it out for yourself as do not think you will be disappointed. You can purchase in a number of stores / online sites however not many currently stocking the 30ml travel size, however I have included two links for it below which I hope helps. If you would like to try the mist before purchasing check if any of your local stores stock it and if so they should have a tester you could try. Hope this helps. Look forward to any comments you may have. Have you tried this product already, and if so, do you love it as much as me? If you are not already a follower would love you to follow my blog too – would mean a lot.